For custom keyboards, I've always used stainless steel plates. I've built about 10 keyboards like this. I never really gave it much thought, it just seemed like the go-to material for a keyboard. But more and more now I'm seeing people using other materials. Different metals and plastics. I imagine this has an effect on the feel but I'm not sure to what degree. Even one time I recently read a post on reddit talking about a thinner PCB that is supposed to "pair" well with a plastic plate to give the keyboard lots of flex. I'm interested in learning more about this topic. 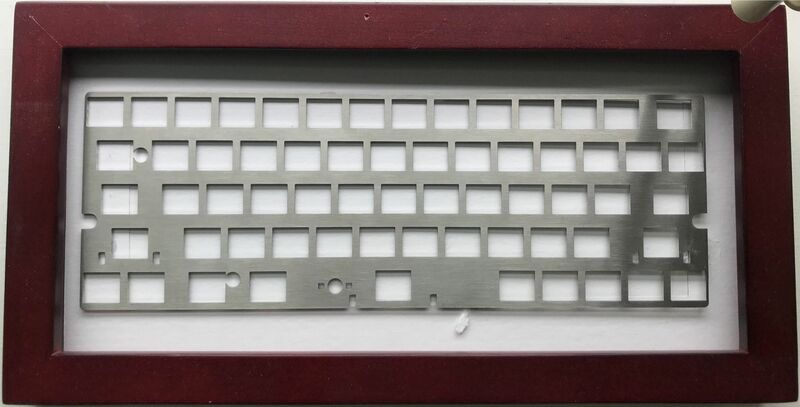 I would like to discuss what materials work well for keyboard plates and maybe find some websites online that provide cutting services for these different materials. I'm not that discerning of a typist but I've liked what I've heard about the sound and feel carbon fiber. I've liked the slight give of well supported glass fiber/FR-4/PCB material plates and the dampened sound of a wood case. It seems that carbon fiber might approximate both without the noise of FR-4 or the fragility of wood.